I wore this outfit yesterday to run some errands, its so simple and casual, yet I felt very chic. Y'all know how I love simplicity and that is just this! 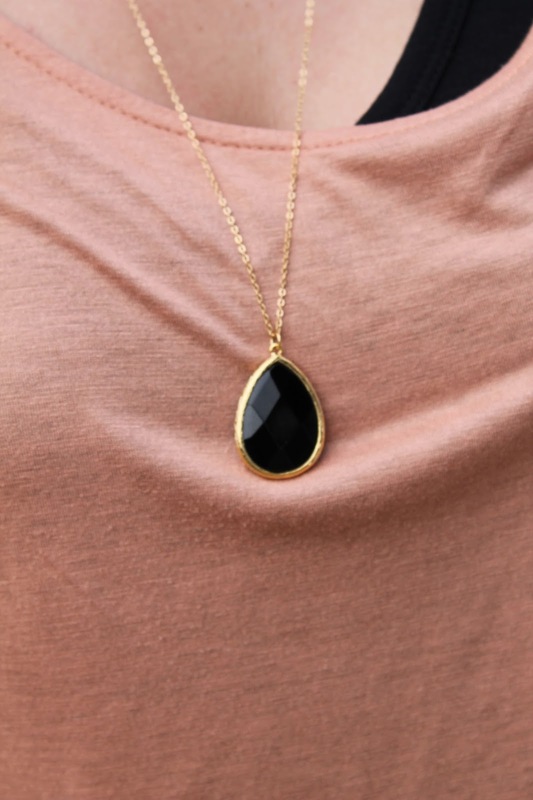 I love this simple black pendant from Everly and Ace, it kinda gives the outfit a finishing touch. Everly and Ace has the cutest clothing and jewelry at their shop, so make sure to check them out! And they are also giving away this black pendant to one lucky reader!! So enter on the Rafflecopter widget below!!! What a beautiful necklace! (: I would love to win. My email is perezashley60@hotmail.com. I hope I get lucky! Thank you for the opportunity ! That is such an elegant necklace, and I love the slouchy blouse paired with the pencil skirt. I emailed you to claim my necklace did you get it?